There are tons of ways to ring in the Year of the Dog this month, but Disneyland has the most Magical™ version on lock. Mickey, Minnie, and all the other denizens of the House of Mouse get decked out in their finest qipao and changshan for this three-week extravaganza. Mulan and Mushu lead the Lunar New Year Procession, a parade featuring music and performances from the Acrobats of China, while the water-and-light show World of Color transforms into a tale about a little Chinese lantern. In the words of Hilary Duff: Hey now, (hey now), this is what dreams are made of. Smorgasburg heads to Santa Anita Park on Saturday for a special dumplings-only edition starring the likes of Workaholic and Brothecary. Sample some craft beers, scarf some steamed pockets of happiness, and bet on some horses, too, because what is America if not the land of dumplings, beer, and gambling? The standard dumpling package ($30) gets you one order of dumplings, one beer, and a $5 betting voucher; up the ante and do the dumpling crawl package ($110), which gets you more of everything. Speaking of Smorgasburg, swing by their usual fair at the ROW on Sunday for the first annual Super Vegan Sunday, where all 50 vendors on site will be offering vegan options. As always, entry to that event is free. When it was released in 1937, the Disney flick was the U.S.’s first full-length animated film made with sound and in Technicolor. (You go, girl.) The El Capitan Theatre offers a slew of screenings starting February 2—show up early and you’ll even get to see Miz White herself live on stage (because, spoiler: The poison apple does not win the day). Chocolate is delicious, yes, but it has a fascinating history, too. Learn and eat at this Hauser & Wirth workshop led by ArtBites’ Maite Gomez-Rejon. 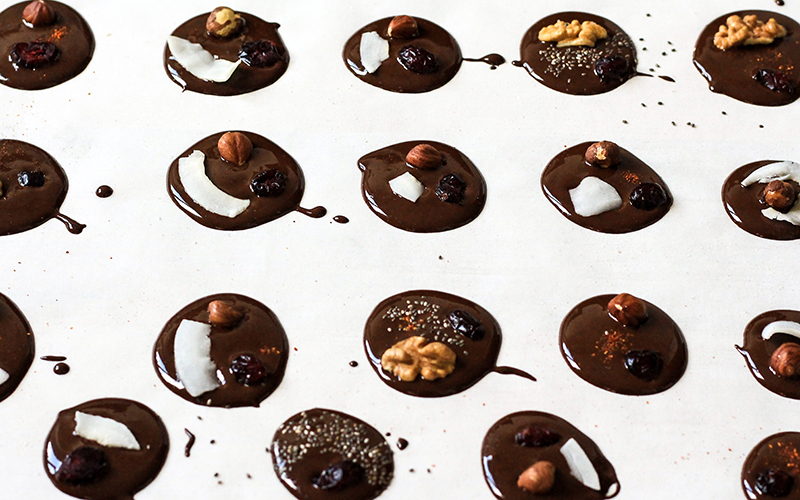 You’ll learn about everything from cacao’s role in Aztec and Mayan culture all the way up to its modern-day candy bar status. All that talking will probably make you hungry, which in this case is a win: The event wraps up with tastings from fancy/arsty af company Milla Chocolates, samples of Mexican cacao-based drinks, and Manuela’s whole grain churritos.